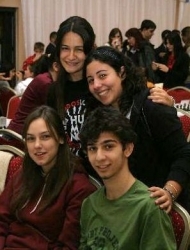 You can find the notes about the penultimate round in which the last player with perfect score lost her first game. 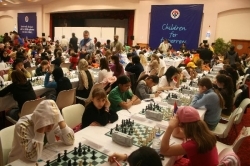 There are many groups where the struggle for the world championship title is very intense. You can find more about it at the link below. Betül Cemre Y?ld?z, against Ignacz, in a winning position with having two pieces and a queening b pawn against one rook. In Under 18 Girls, after WFM Gunina won against WIM Nemcova, both have equal points and they are closely followed by WIM Gomes who won against WFM Fiona-Steil and WIM Y?ld?z who won against WIM Ignacz. 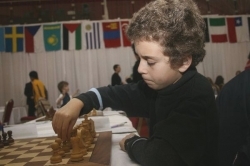 In Under 18 Boys, IM Hoyos and GM Popov drew their games and Popov was eventually caught by IM Romain who won against IM Grigorian at 8 points. 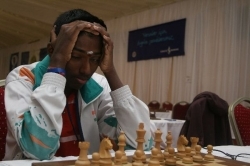 GM Howell and GM Rahkmanov, the other two GMs are eventually back with a high momentous after winning against IM Vocaturo and IM Saric respectively. Kübra Öztürk, determined to come back...can she? In Under 16 group, WFM Girya is leading with 8.5 after winning against WFM Nakhbayeva while Tsatsalashvili who drew with Ivanenko is at 8. 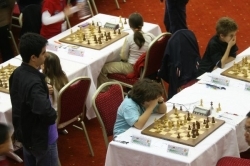 WFM Öztürk, the local star, won against WFM Kunon to reach 7.5 as did WFM Repina and Ivanenko. 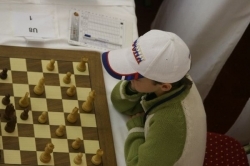 In Under 16 Men, FM Chrilia is still leading with 8 after drawing with Russian IM Kharchenko. FM Perira, won against Spanish Guerra in the Iberian derby and has 8 points sharing the first place with FM Chrilia. In Under 14 Boys, Wang is leading with 8.5 after his victory against the Swedish youngster Grandelius and followed by FM Ter-Sahakyan, Kanarek and IM Sjugirov with 8. In Girls category of the same age WFM Paikide is leading with 8.5 followed by FM Cori with 8. In Under 14 Boys, Wang is leading with 8. 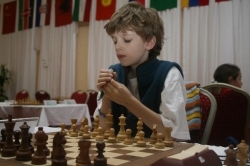 5 after his victory against the Swedish youngster Grandelius and followed by FM Ter-Sahakyan, Kanarek and IM Sjugirov with 8. In Girls category of the same age WFM Paikide is leading with 8.5 followed by FM Cori with 8. In Under 12 Men, Nzyhnyk won against Bukavshin to reach 8.5 points but Naroditsky also has 8.5 since he won against Nakauchi. Beradze won against FM Bajarani as the major upset of the round and he is going to face Nyzhnyk as Bukavshin is playing with Naroditsky. 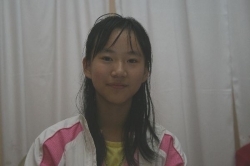 In Under 12 Girls, Efroimski lost her first game against Guo The first have 9 while the latter has 8.5. 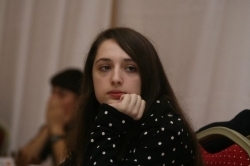 Saudkasova won against Galunova as with Zhai they have 8 points. 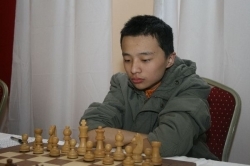 In Under 10, Wang won against Lamard and has 9.5 points. He is followed by Antipov with 8.5. Prince, won against Luo has 8 points. 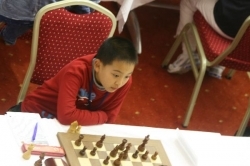 In Under 10 Girls, Chiang won against Pastuzsko as did Styazhkina against Fedyuk. 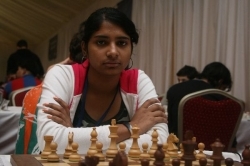 Guo drew with Paramzina and has 7.5 points while Ye?im Patel lost against Lahcowicz. 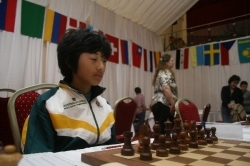 In Under 8 Boys, Savenko won against Yeoh and has 9.5 points with conceding only one draw away so far and very close to the world championship under8 title. Sinyanski won against Zapata and has 8.5 points and has still slim hopes of catching the Russian. In Under 8 Girls, Furtado keeps on winning this time against Nguyen and has 8.5 points. 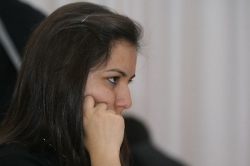 Ponamarchuk is chasing her with 8 points while they are followed by Abdulmalik and Mammadzada with 7.5 points.